This kofta has been my favourite since childhood and remains my favourite till date. I eat the cooked meat before it is ground. I eat the ground kofta meat before it is shaped and fried. I simply love it. It is my mother's recipe. 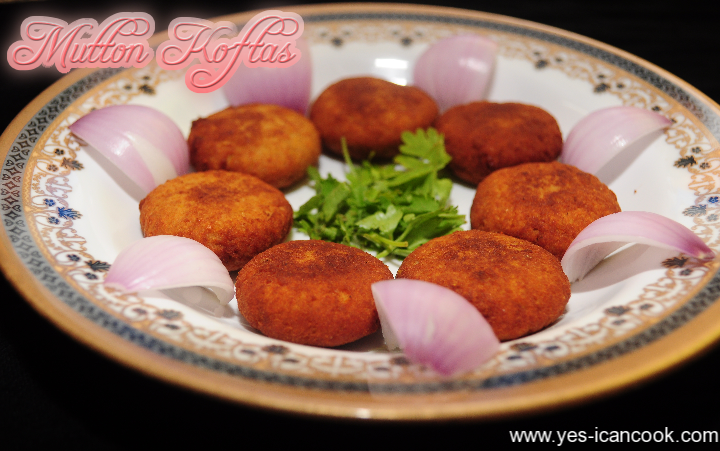 It is a soft kofta and it is called shaami when it is shaped into a diamond. 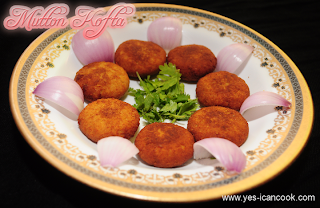 The same recipe can be prepared using boneless chicken in place of mutton and that tastes great too. 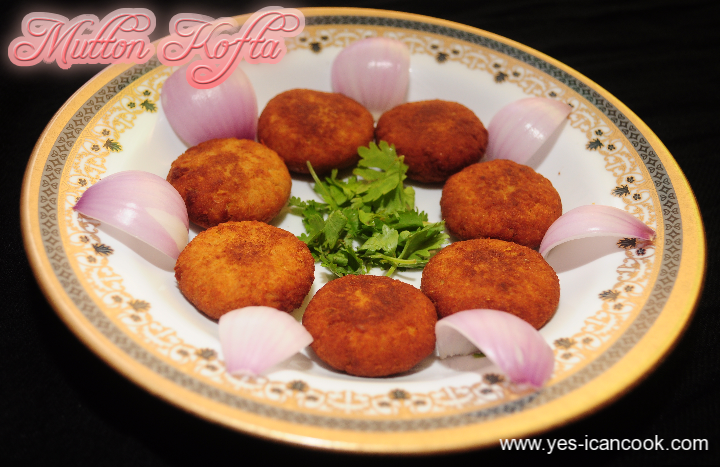 These koftas can be prepared and frozen beforehand and can be fried when required. You can both deep fry and shallow fry these koftas. We also prepare a tangy gravy with these koftas. I will post that recipe later. 1. Wash the mutton pieces and the chana daal. 2. In a cooking vessel or pressure cooker add the mutton pieces, chana daal, onion, tomato, green chilli, ginger garlic paste, salt, turmeric powder, chilli powder, coriander powder, coriander leaves and mix to combine. 3. Add water and cook till the meat and daal are well cooked and tender. If cooking in vessel, cover and reduce flame once it comes to a boil. 4. There should be no water and the meat mixture should be dry. 5. Let it cool down completely. 6. Add the mixture to a blender and grind to a smooth dough without adding any water. Grind in 2-3 portions. You can leave it a little coarse if desired. 7. Add the white of an egg and mix well. Grind again to combine. 8. Take a small portion of the dough and roll it into a ball. Press it gently to form a circular patty. You can also roll it as a cylinder and press it gently and shape it into a diamond. It is then called a shaami. 9. Make koftas with the remaining dough. 10. Heat oil for deep frying or a tawa for shallow frying. I deep fried them. 11. Drop the koftas in hot oil and reduce the flame to medium. Fry on both sides till cooked and they turn brown. 12. To freeze koftas, place the prepared kotas on a plate with wax paper and keep them in the freezer for an hour. Remove from the plate before they completely freeze if not using wax paper. Transfer them to ziplock bags and freeze. Fry them without thawing when required. To shallow fry, thaw them. i looks yummy and intresting,lets give it a try.